There can be no argument that the two most popular sporting events. at least as far as global viewers are concerned are the Football (soccer) World Cup and the Summer Olympics. When it comes to the Olympics there are countries that shine in certain sports. Kenya for instance regularly tops the tables as far as long distance running is concerned. But in the all-time med als table who stands head and shoulders above the rest? The answer isn’t very difficult to understand – it’s the United States. The U.S.A. has an educational system that rewards accomplishment in sports. That system also is supported by a nationwide system of mentoring for those who excel. The result is a sporting powerhouse that has been dominating the Olympics for generations. So what are the numbers that would back up this claim? 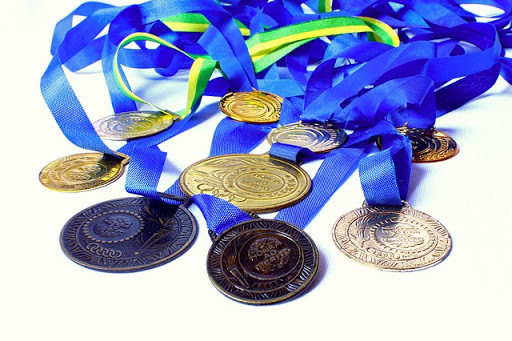 In total the U.S.A. has won 1,022 Gold Medals, 794 silvers, and 704 bronze medals. To put this into perspective that’s more than double the medals that have been won by the country in second place – the Soviet Union. Given that the Soviet Union doesn’t exist anymore it’s unlikely that any other country is ever again going to challenge America for the top spot. Also the fact that the U.S. is continuing to pour considerable resources into sport, both at the amateur level and professionally it’s beyond the scope of any other nation to play catch up. There may be countries which excel in certain disciplines – but overall the U.S.A. has firmly cemented itself at the top of the medals table. It seems that the cries of ‘U.S.A., U.S.A.’ that television viewers across the globe are exposed to at every Olympic games are not something that will disappear anytime soon. The champions in red, white and blue are here to stay. Next PostNext Is Cheerleading a Sport?